Rabbi Yisrael Weiss, who told soldiers to obey expulsion orders, has expressed regret over his role in the 2005 expulsion of Jews from their homes. Rabbi Yisrael Weiss, former IDF Chief Rabbi, who held the post during the Gush Katif expulsion, has expressed regret over his role in the 2005 "Disengagement" from Gaza and northern Samaria. At the time, Rabbi Weiss came out against refusing orders, despite the call to soldiers to refuse orders from former Chief Rabbi of Israel, the now-late Rabbi Avraham Elkana Shapira, Rabbi Zalman Melamed of Beit El and others. Rabbi Weiss said that IDF soldiers who are told to expel Jews from their homes by force must do so. “I think that many, many people, not just myself, are sorry for having supported the Disengagement,” he said in an interview with the Hebrew-language daily Yediot Aharonot. He accused then-Prime Minister Ariel Sharon of having lied to get his support. “I asked [Sharon], 'Why uproot those communities?' and he told me, 'Rabbi Weiss, I understand defense, right? I promise the people of Israel 40 years of peace,'” he recalled. “Today I know that he lied to me,” he added. He accused former IDF Chief of Staff Dan Halutz of dishonesty as well. Halutz dismissed rumors that he was planning to replace Rabbi Weiss, only to inform him two days later that he would in fact be replaced, the rabbi said. 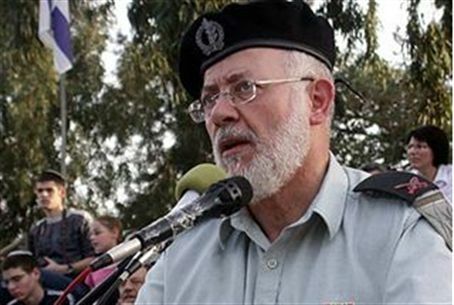 As Chief Rabbi of the IDF, he sanctioned the digging up of graves of Gush Katif expulsion victims' relatives, including children and soldiers who died at the hands of terrorists. Transferring graves is a serious problem in Jewish law. Adding to the dilemma were the emotions surrounding families who were expelled, whose homes were destroyed, and who then had to face the relocation of their relatives' graves. Those digging up the graves were filmed joking with one another at the gravesites, causing an uproar in religious circles. Rabbi Weiss gave an interview to discuss his new book, B'dam Libi (lit. In the Blood of my Heart).